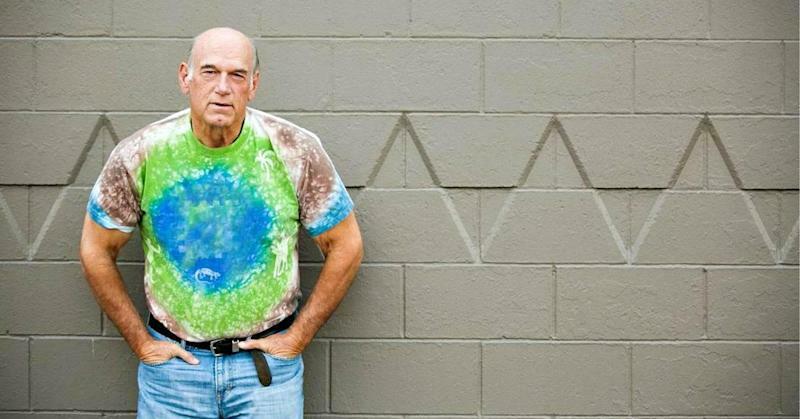 Jesse Ventura, former governor of Minnesota, author of "Jesse Ventura's Marijuana Manifesto"
Last week, the DEA decided not to reschedule the classification of marijuana as a legal drug. According to federal drug codes, cannabis is still as deadly and addictive as heroin, with no known medical value. I was surprised to see how many articles were written about this decision without mentioning the obvious: This was going to happen. The DEA was just toying with us. There were petitions that received enough signatures and then some senators wrote the DEA a letter, so the DEA had to give the matter "serious consideration." But as long as the DEA is in charge of both writing the law and enforcing it, they're going to keep things status quo, no matter what American taxpayers actually want. There are all kinds of contradictions and misrepresentations about marijuana. Everyone says we need more research to determine the true medical value of marijuana, but that won't happen within the U.S. for a number of reasons. In the first place, the DEA is in charge of approving scientific research studies! Now, the DEA isn't an independent organization or a scientific organization — they are a law-enforcement organization — yet they are given the responsibility to be both judge and jury when it comes to what research studies can be done within the United States? There are plenty of scientific studies that have proven the medical value of marijuana, but they're being done in countries like Spain and Israel — and get this: our federal government actually funds those studies. A prime example is Dr. Raphael Mechoulam of Israel. The U.S. National Institute of Health (NIH) has provided Dr. Mechoulam with funding for cannabis research since the early 1960s, and the National Institute of Drug Abuse (NIDA) gave him a Lifetime Achievement Award in 2011 for his research. So what does that tell you? Well, I've read his research and I can tell you this much: Although recreational marijuana is illegal in Israel, thanks to what Dr. Mechoulam has been able to prove, medical marijuana—not a pill, but the actual plant in smoked or edible form — is being prescribed in Israel for PTSD, epilepsy and rare seizure disorders, MS, Chrohn's, chronic pain, cancer, and even HIV. Meanwhile, the majority of Americans with those same conditions don't have access to medical marijuana as a treatment approach, even though American taxpayer money went to fund Dr. Mechoulam's studies! It's not the NIDA or the NIH deciding the value of marijuana, it's the DEA, and clearly the organization is too biased. And why wouldn't they be? They naturally want to keep the war on drugs going strong — otherwise, they'd be out of a job. See, it comes down to job security. Why on earth would they reverse their position on marijuana? That would mean for the past 45 years, they've been prosecuting American citizens unjustly, ruining lives, and for what? Nothing. Literally nothing. Imagine if the DEA did reclassify marijuana. Would everyone with a marijuana conviction then be able to sue the DEA? Would their sentences be commuted? Would we see amnesty for marijuana offenders? The DEA has requested a budget of $2.1 million for 2017. That's a pretty significant budget considering public enemy number one — namely, marijuana — is now being grown legally in 25 states. I mean, come on, this is just getting ridiculous. But I guess that's the American way. We allow our federal government to spend trillions on ridiculous wars — the Afghanistan War, the Iraq War, and the War on Drugs. If only there were a war on health care or a war on education or a war on infrastructure or a war on solar power. Imagine what we could accomplish! So, how do we fight back on the DEA's War on Drugs? There are 14 states with marijuana measures on the ballot for 2016. There are 25 states and Washington, DC that have legalized medical marijuana in some way. If you want to rebuild our economy and really create new jobs, then we need a new industry. We don't need promises from presidential hopefuls; we in the private sector can do it on our own. In 2015, Colorado earned more than $135 million in taxes and fees thanks to the marijuana industry. More than $35 million of that money will go toward school-construction projects. Washington state is projected to earn more than $270 million in taxes by the end of 2016. If you want to think about that on a national level, there are approximately 21,000 to 33,000 businesses in the U.S. that are tied to the marijuana industry, and that number will clearly increase if more states legalize it. How's that for rejuvenating the economy? We have to stop thinking that the federal government knows best because it doesn't. Over half the country wants marijuana to be legalized. Just to put that into perspective: We haven't seen that kind of universal agreement on who we want as the next president! To me, that means it's time for the government to stop opposing marijuana because it's the government's job to carry out the will of the people. The people have clearly spoken. Scientific research, though conveniently ignored, has also spoken. If the DEA won't step aside, we'll just have to make them obsolete. Imagine if every state legalized marijuana. That could very well happen within our lifetimes. See, right now, Americans aren't equal. Some Americans can grow marijuana in their back yards, and some Americans go to jail for doing the same thing. How long will we allow such hypocrisy to continue? Step one starts at the state level. Step one starts with showing the DEA that We the People are the boss. Commentary by Jesse Ventura, the former governor of Minnesota and the author of "Jesse Ventura's Marijuana Manifesto" (Sept. 6 2016). He was a Navy SEAL and is a Vietnam veteran. He was also a professional wrestler from 1975 to 1986 under the ring name Jesse "The Body" Ventura. Follow him on Twitter @GovJVentura.